A used book store located in the Lakes Region of New Hampshire offering 10,000 volumes of every type: fiction, non-fiction, collectible, and antiquarian works. 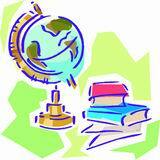 We also provide technical and general reference materials for libraries, home-schooling, and industry. Description: A used book store located in the Lakes Region of New Hampshire offering 10,000 volumes of every type: fiction, non-fiction, collectible, and antiquarian works. We also provide technical and general reference materials for libraries, home-schooling, and industry. This quirky site offers unusual books. It loads quickly, while being informative and user friendly.